For advertising rates, sponsorship opportunities, or any questions about Vegas sports books, please e-mail – we love it! Hello! My name is Tommy Lorenzo – a husband, father, and sports nut that lives in Southern California. 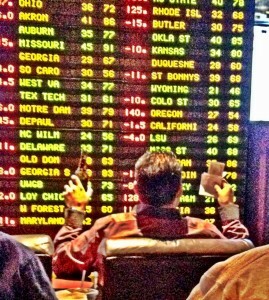 I have been crazy about Las Vegas and the casino sportsbooks since my first trip to Sin City over 25 years ago. I have a special affinity and passion for this exciting town and I’m so grateful that each and every day I can talk sports and help the sports book fan make their Las Vegas getaway that much better. I have “parlayed” my lifelong love of sports with 20+ years of Las Vegas sports book fun, experiences, and adventures into Thevegasparlay.com. We hope that the news, reviews, and information related to Las Vegas Sports books helps the Vegas newbie, expert, and everyone in between. Whether you are a local or are planning a visit from far away, the hours spent having fun in Vegas are precious. It is our goal to provide the Las Vegas sportsbook connoisseur with as much information as possible to make the Vegas experience an enjoyable one…..and keep you informed and entertained between trips of course! 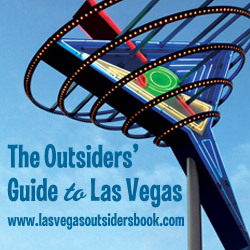 Please enjoy the blog postings, sportsbook reviews, and the other features on the site. And don’t hesitate to join in on the discussion! The Vegas Parlay caters to fans of Las Vegas, Las Vegas sports books, sports bettors, and sports fans in general. Advertising with us is a great way to reach your specific audience in a targeted fashion. Informing our readers about Las Vegas sports books, bars, restaurants, and any Vegas related fun is what we are all about. Complimentary or media rate lodging, food, etc. is accepted for posts and reviews of your property or product. Posts and reviews will be unbiased and any sponsorship will be disclosed to our readers. The website is updated several times a week and our readership has grown exponentially since its inception. Articles, photos, and information from the website have been featured on several sports websites as well as in the Las Vegas Review Journal and ESPN Insider. 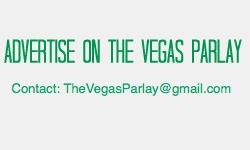 The Vegas Parlay has a Facebook page and a strong Twitter presence. Any sponsored posts, reviews, or media campaigns will include a featured post/article on the website, Facebook exposure, and multiple live “tweets” via twitter. Other customization can be provided. For advertising/partnership opportunities, please e-mail us!